Are you thanking your donors in a timely and meaningful way? As a nonprofit, one of the most important things you can do to drive revenue and encourage recurring giving is to thank your donors. 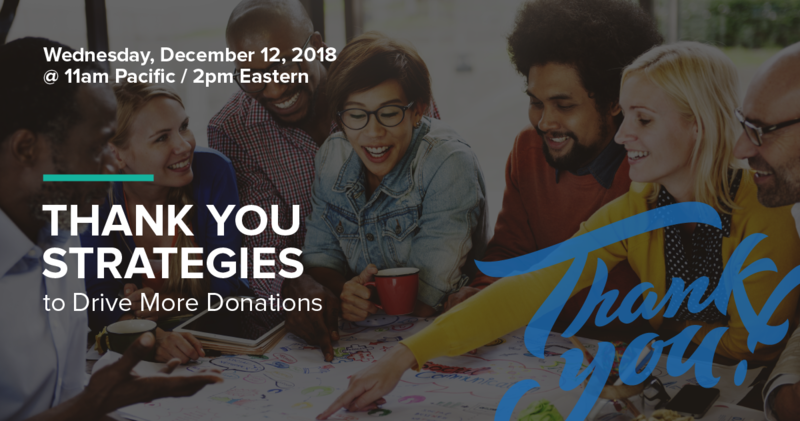 During this complimentary webinar, we will help you create surefire ways to express your gratitude with a simple thank you. Can’t make the date and time? No problem. Register today and receive the webinar recording and slides.